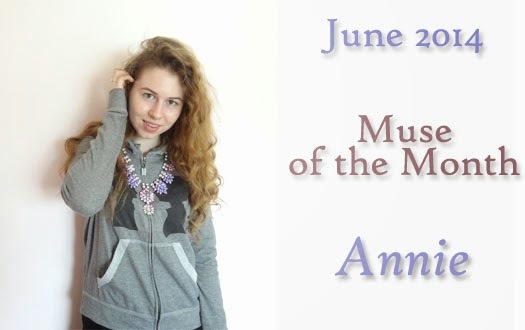 Introducing our June ‘14 Muse of the Month, Annie! I don't always get the chance to meet our Muses that we select for this monthly post but I was fortunate to meet Annie who came to visit me and my team at the BMG headquarters last year. You can check out her post on her visit here. Annie has also covered Boy Meets Girl® and myself on her blog over the years which you can check in these past posts here and here. We are very impressed with Annie and what she has accomplished already! Check out more about Annie below and why she made our Muse IT list. Supporting charities is so important to me and one of my favourite charities is ONEXONE. ONEXONE is a non-profit initiative based in Canada and the United States designed to better the lives of children locally and globally through the following sectors: water, hunger, healthcare, education and play. I have recently been invited to become a ONEXONE Ambassador which is a true honour. I am looking forward to being a part of The Million Meals Movement which is taking place this April and is looking to pack 1 million meals across North America to help end hunger. Everything from Boy Meets Girl® is absolutely amazing and it is so hard to pick a favourite piece, however I do find myself rocking my Old School Coco Hoodie again and again. This hoodie is cozy and casual not to mention a favourite of celebs such as Cher Lloyd!